The page you are looking for is not here. This may be due to a mistyped URL, faulty referral from another site, out-of-date search engine listing, or another problem. Please go to one of the links below. Just ASK Publications & Professional Development (Just ASK) Inc. is based in Alexandria, Virginia, USA. Established in 1989, Just ASK does long-term multifaceted work with schools, school districts, educational collaboratives, and associations. Click here to learn more about Just ASK. Just ASK provides products and services for educators in formats that facilitate a shared understanding and the use of best practice in teaching, learning, and leading in 21st century classrooms, schools, and districts. These comprehensive resources use a common language and concept system that makes the Common Core come alive. Because they are cross-referenced, administrators, teacher leaders, veteran teachers, mentors, coaches, and new teachers can all be on the same page! 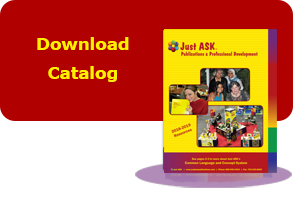 The publications and products developed and distributed by Just ASK are used by Just ASK consultants in their long-term multifaceted work with schools and districts, stand alone for use in professional development initiatives led by district personnel, and are often used as texts for college courses. Just ASK helps schools develop systems to approach the complex issues they face daily. Supporting improvement goals, such systems would include the development of leadership teams, shared decision making structures and schedules, induction and mentoring programs, and results-based professional development. 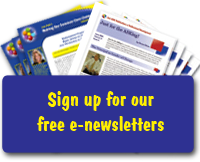 Here you will find e-newsletters, Common Core resources, mentoring resources, teacher performance standards, and , and sneak peeks of our publications. Feel free to access these resources, send them to colleagues, and use them in non-commercial, professional development events. Click here to go to the Just ASK Resource Center. If you have any questions about the products and services we offer, or would like to find out about quantity discounts, please feel free to email us at info@justaskpublications.com or call us toll free at 1-800-940-5434.